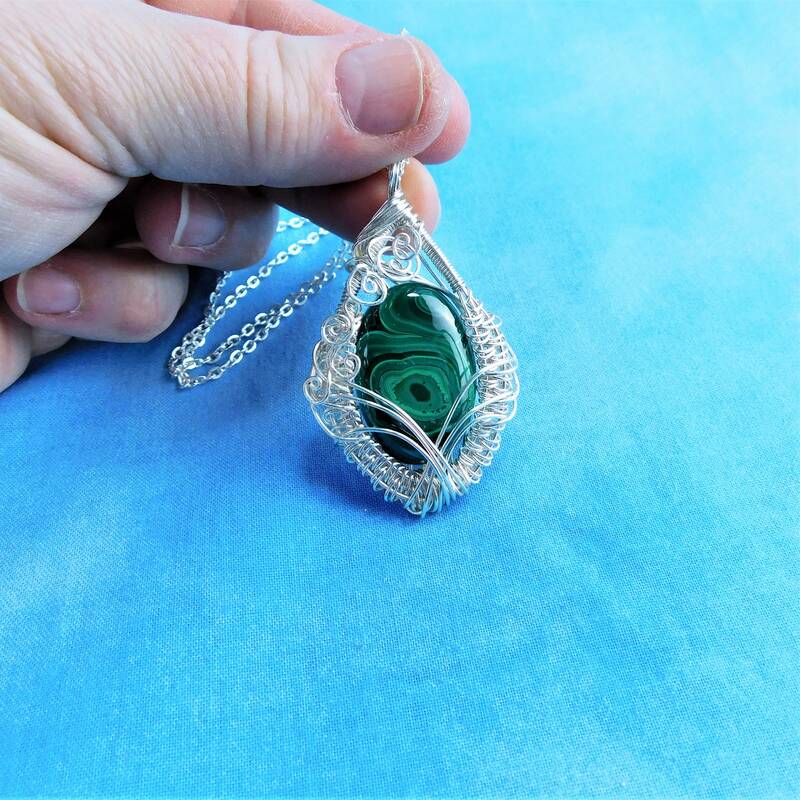 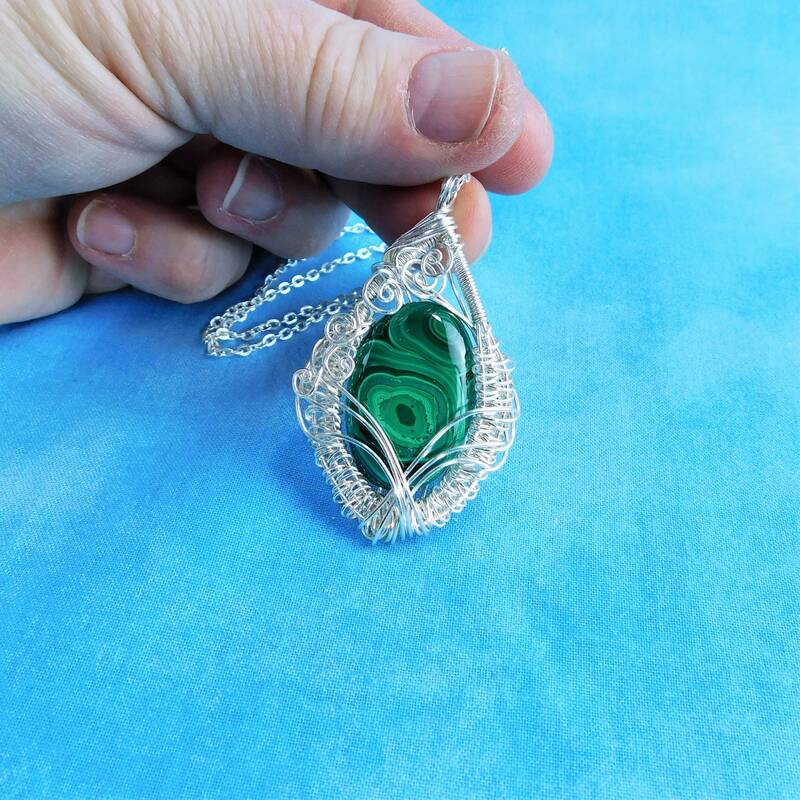 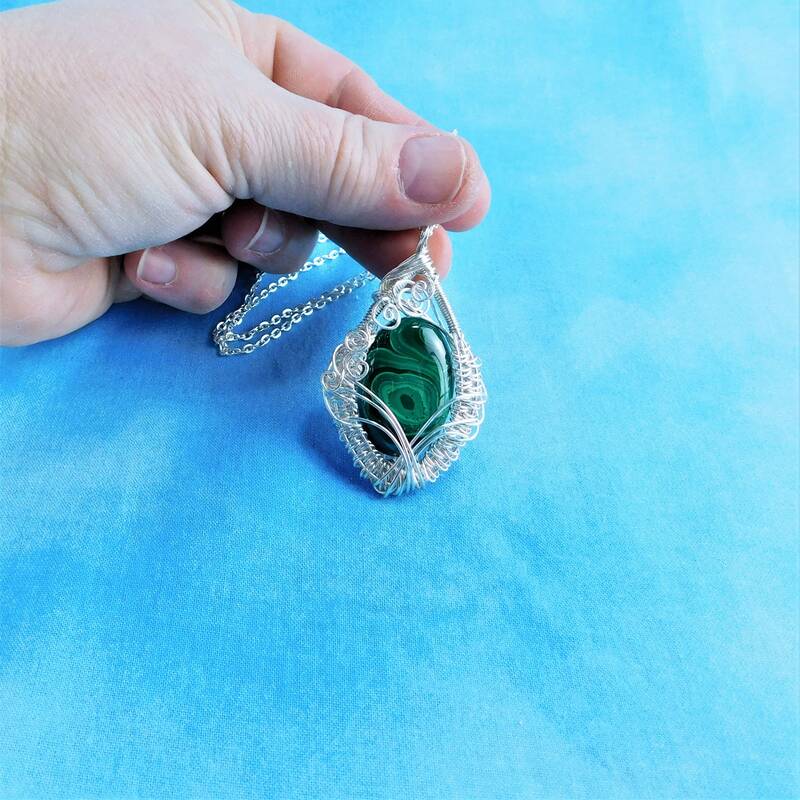 A beautifully banded cabochon of oval shaped Malachite rests within an artisan crafted frame of handwoven and sculpted non tarnish fine silver over copper wire. 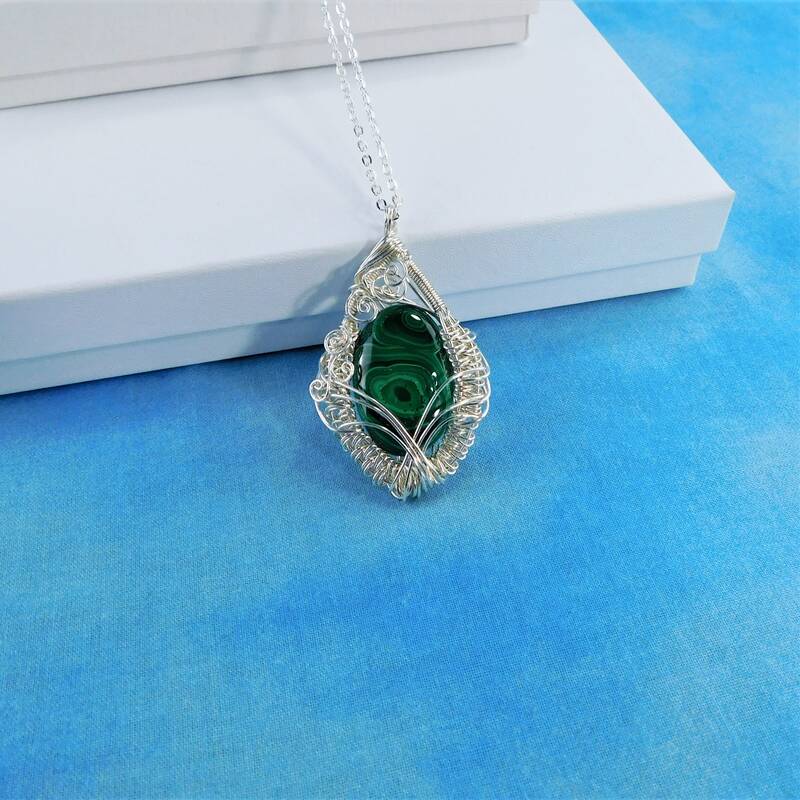 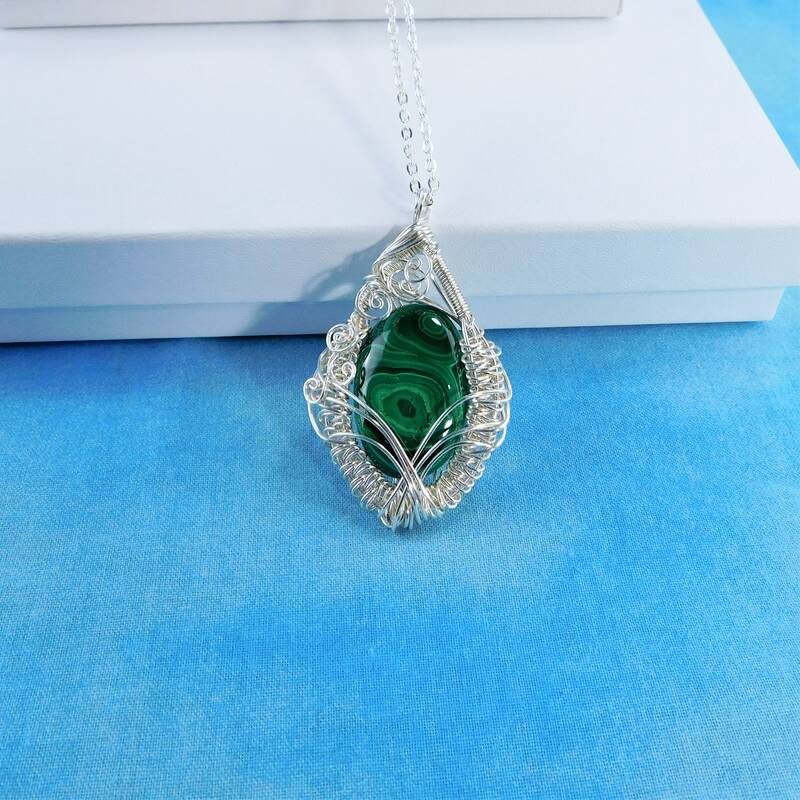 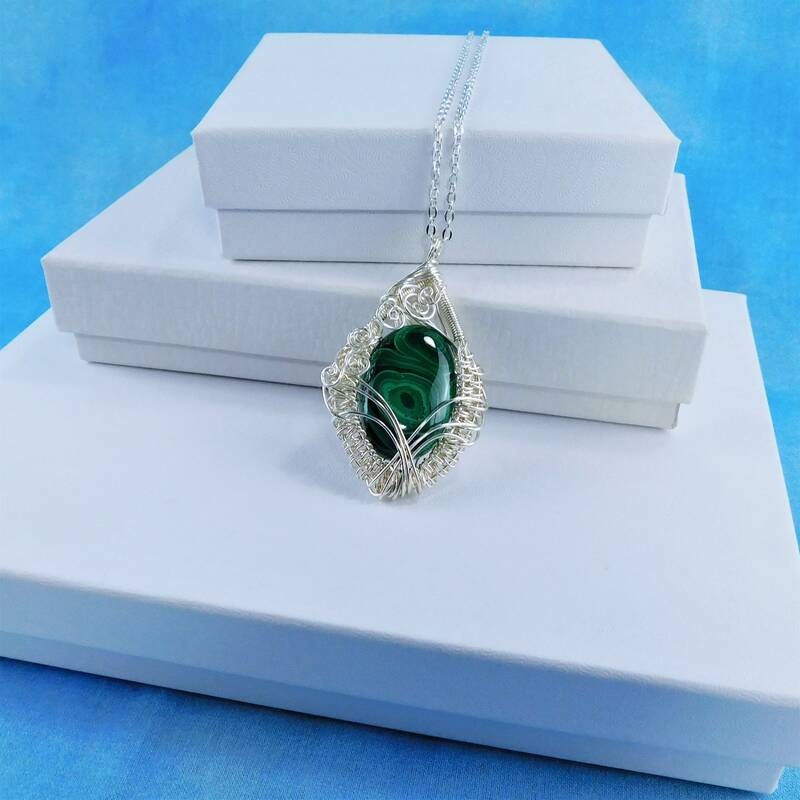 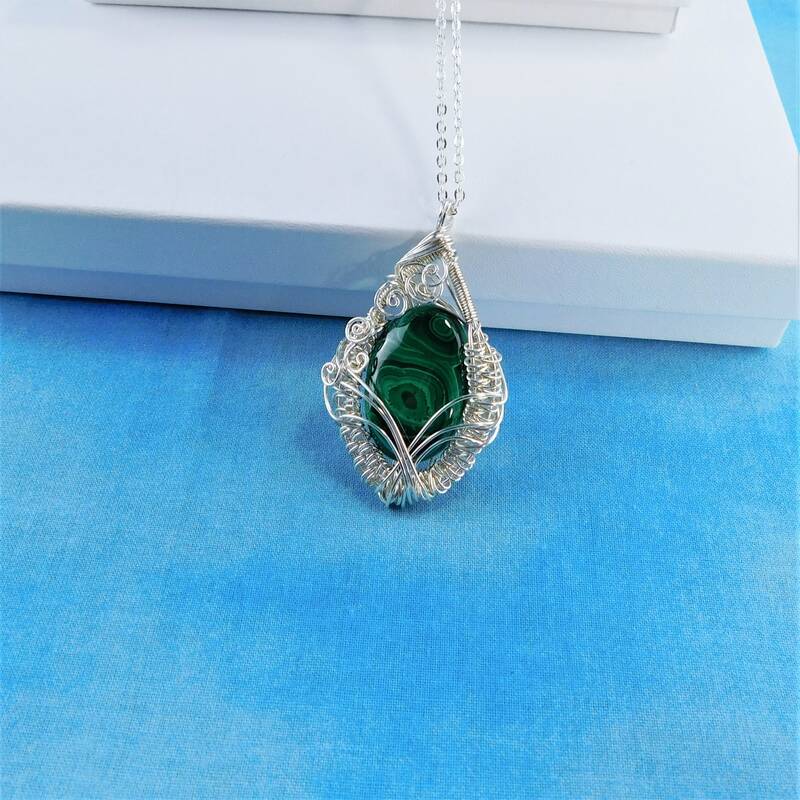 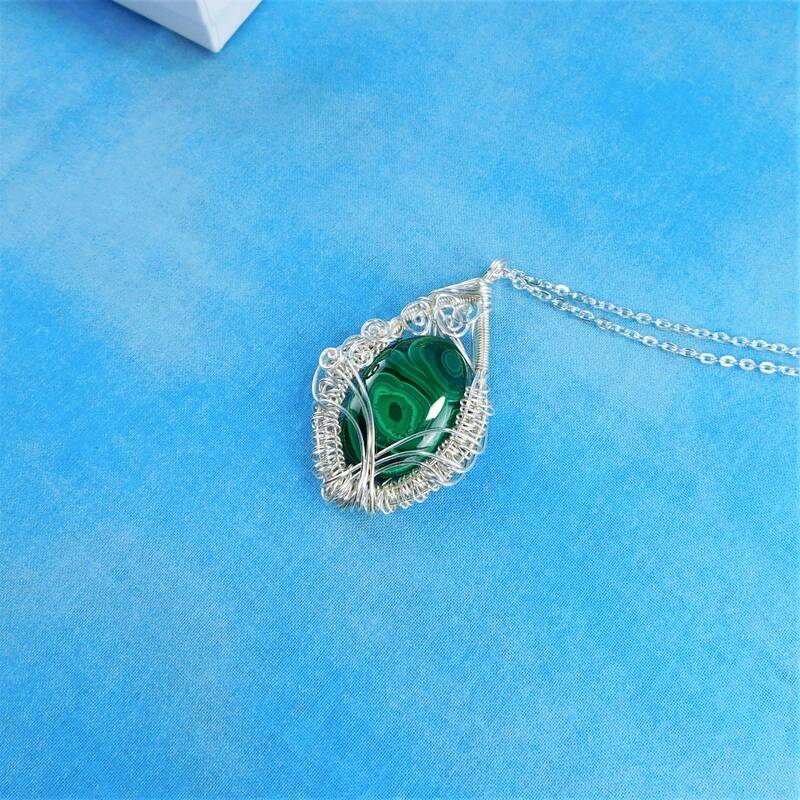 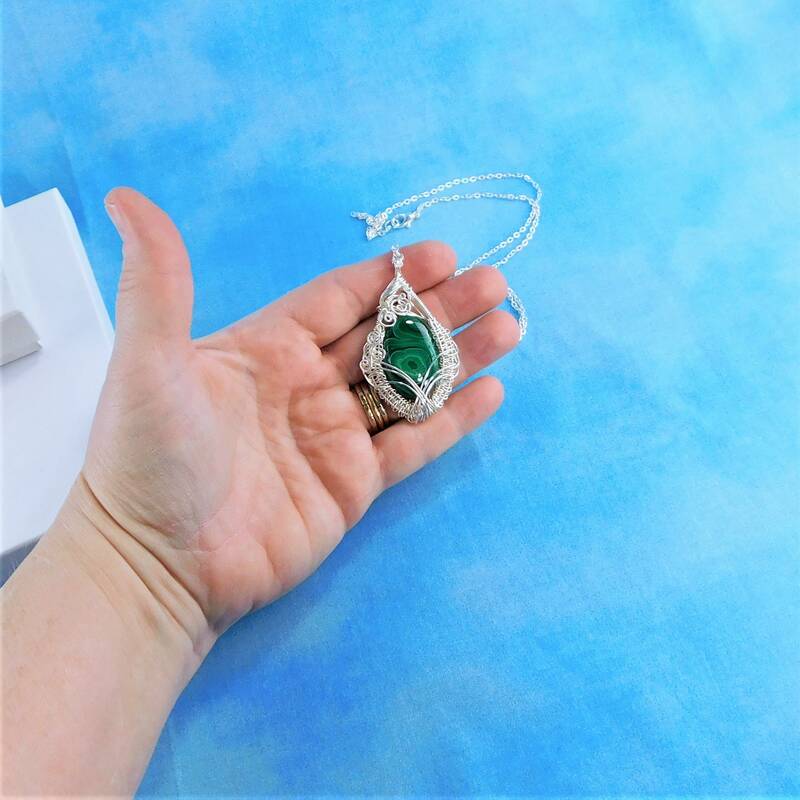 The bright silver color is a beautiful contrast with the deep green of the stone. 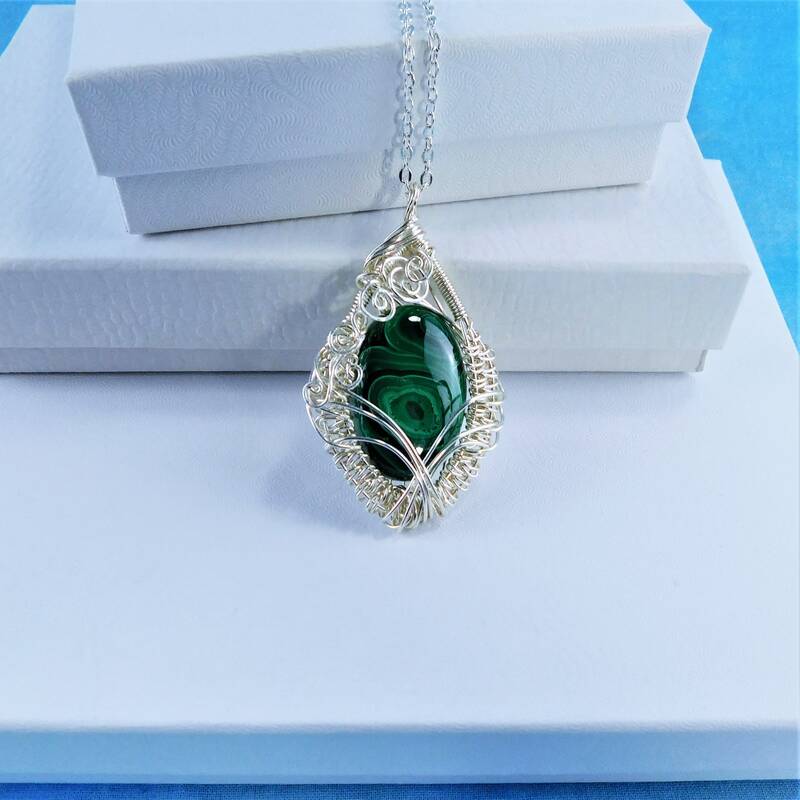 It would be perfect for the woman who enjoys wearing interesting and unique colors and textures that are distinctive and unusual.